Patna, June 20: Chief minister Nitish Kumar has won the first throw of dice in what is probably the biggest gamble of his political career, sailing past the trust vote in the Bihar Assembly on Wednesday afternoon. But losing the cushion of his coalition with the BJP and having to work with a slender edge in the Assembly isn’t a situation he regrets. Patna, June 16: Chief minister Nitish Kumar may well sense a new “secular” halo beginning to glow behind him, but beneath his feet he must also sense the cold discomfort of thin ice. If this is a leap of conviction, it is equally a lunge into uncertainty. Hereon, it is going to be a testing, if not also precarious, ride. Patna, June 16: The Ides of June have long haunted the JD(U)-BJP coalition in Bihar. 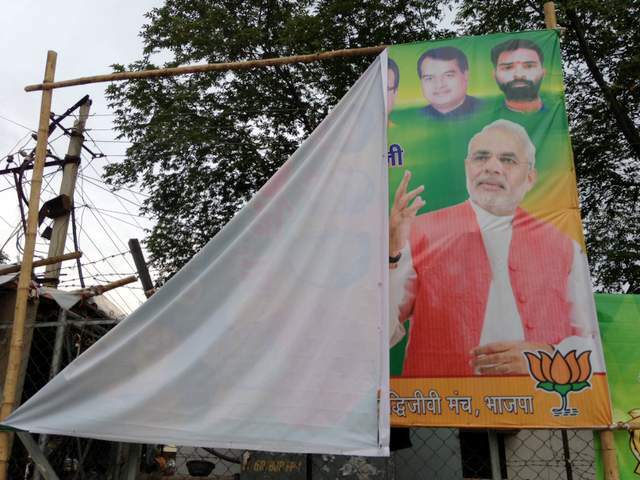 Three years ago, the partners came to the verge of parting mid-June when a Narendra Modi-inspired advertisement in Patna newspapers so enraged Nitish Kumar that he withdrew a dinner invitation to the gathered BJP brass and all but broke the deal. Today, inspired by the shadow of a more insistent and unrelenting Narendra Modi, the Ides served to sunder. The Bihar chief minister stoked the simmer with his Gujarat counterpart to a fast-tracked flashpoint, robbing the NDA of its biggest ally, dismissing all 11 BJP ministers in government and seeking a fresh trust vote on June 19. The laureate-mentor’s message was relayed to Nitish by Singh this morning, not that Nitish was confused about what he must now do. The chief minister is set to effect the “honourable option” tomorrow following the formality of running the break through party president Sharad Yadav over dinner tonight.